Social media is today's latest craze. And there's no sign that it's slowing down. As of mid - 2011, Facebook has about 600 million users world wide. And by 2013, estimates say that about half of the US population will be on Facebook. As you can see, there are a lot of potential customers on Facebook alone, not to mention other social networking sites like Twitter, MySpace, Friendster, etc. 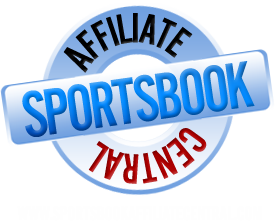 In the world of sportsbook affiliate marketing, social media offers unprecedented immediacy. Imagine instantly reaching thousands of readers in a single status post or tweet. Think about offering contests or promos in 140 characters or less. To provide additional value and fresh ways for your fans to interact with you, conduct live chat sessions from time to time to discuss about the biggest sporting events like the Superbowl or which team will win the World Series or which driver will win the NASCAR Sprint Cup. All too often, webmasters overlook the 'social' part of the phrase social media marketing and jump straight into the 'marketing' part. They forget that social media is dominated by a community of people who have expectations of the various social networks to which they belong. Very often, these expectations do not include having marketing messages jammed down their throats. Stop reading the success stories and best practices to model your social media strategy. Use them for inspiration, but figure out what your opportunity is first. Social media is a great way to see what people are saying about your site and sports in general. Which team or player is hot... Which matchup is better... all these regularly talked about on Facebook and Twitter... Join the discussion, read and share your thoughts... Interact. That's what social media is all about.